The SMART Spelling course is filled with practical knowledge for primary teachers. Teachers are thrilled with the depth of knowledge they and their students develop using the SMART approach. They love such a sensible approach to teaching spelling. Teachers often say . . .
"it just makes so much sense"! Teachers need the to do the course and have a copy of the SMART Spelling manual to implement this approach successfully in a classroom. One Course, Two Choices: Video or Face to Face! Payment is either with credit card or getting tax invoice for a school to pay later. A tax invoice will be automatically emailed to you straight away! 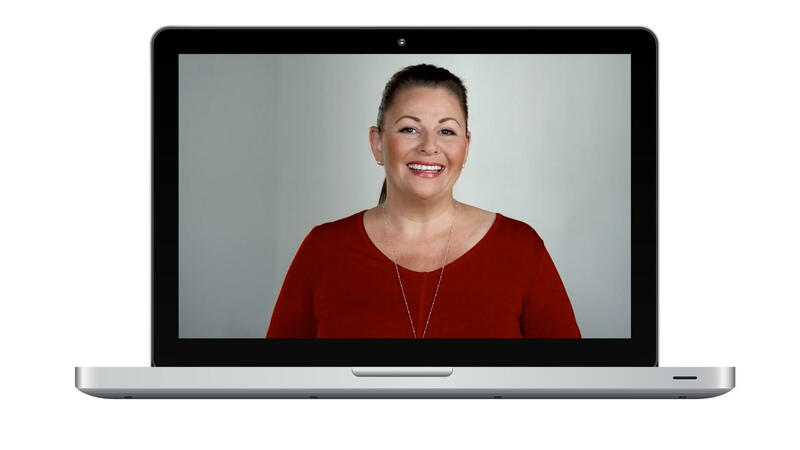 The video course is full of practical content that is broken up into 14 digestible videos! 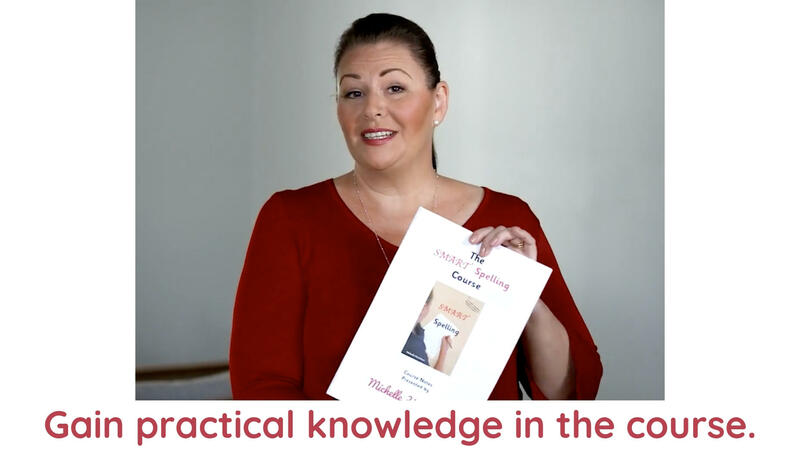 It comes with 48 pages of comprehensive notes to print out to support your learning! There is a total of 2.5 hours of video content that will take a whole school day to complete thoroughly as you do the activities and type in questions. You'll have access for a month from the date of purchase and you can re-watch as many times as you like. The course can be viewed on any device and can be done anywhere at anytime! There are dedicated question and answer parts on each video where you can type in your questions and Michelle will answer them for you! The 263 page SMART Spelling manual is separate $88 purchase. You don't need the manual to do the course, but you will need it to implement this approach successfully. Our lovely Melbourne City venue is only a 3 minute walk from Flagstaff train station or a 6 minute walk from Southern Cross station. We also start at 9:30 to help with travel time for people coming from the country and interstate! Price includes a 263 page SMART Spelling manual (retail $88), printed notes, morning tea and lunch. Click on the dates below to book. I recently completed the SMART Spelling video course online, and can highly recommend it. I found it very user friendly and easy to follow. It is a great program and something I have already started implementing into my classroom. Michelle is so relatable, and her program really makes sense! It was great to be able to make comments as ask questions after each video and I also found it helpful to re-watch the concepts I wasn’t too sure about. Thanks Michelle. I am sitting here loving your video course. It is so informative. It's very easy to follow, easy to access and very helpful! Absolutely something all teachers should listen to! The content of the video course and the face to face course is the same. How to teach spelling using the SMART Sequence! There is a dedicated time to ask questions at the course and the video course has them typed in and answered by Michelle! Thank you Michelle. This has been fascinating. I have always loved language and teaching reading and spelling, but I have learnt lots of new strategies through your videos. I am going to have such fun teaching my students using these new strategies. Read what other teachers say and what schools say about SMART Spelling! SMART Foundation is specifically for teachers of foundation classes - the first year of school. This complements the SMART Spelling course and goes further into specific for beginners. 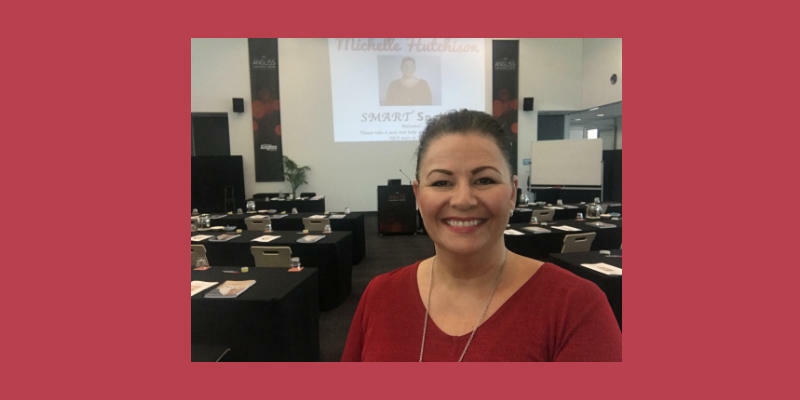 It is video training presented by Michelle Hutchison that is supported by printable notes and you also get digital downloads that contain everything you need to use this approach straight away! Ideally foundation teachers need both the SMART Spelling course (F-6) and SMART Foundation. Keep me up to date with all the latest!